Bailey’s Ford Park has a new playground. 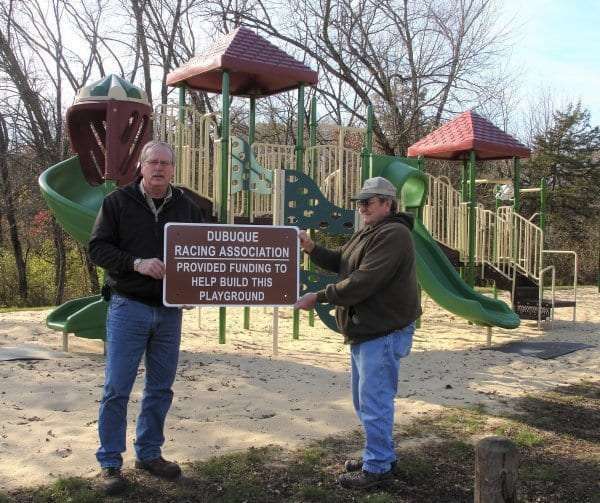 Delaware County Conservation has received a five-thousand dollar grant from the Dubuque Racing Association to help build a new playground at the northwest camping area at the park on the edge of Manchester. Delaware County Conservation Director Garlyn Glanz says they recently expanded the camping area in Bailey’s Ford Park. The playground addition is a step in completing the development plan for that area. Glanz says without grant opportunities, they would be limited on improving the county parks. Donations from the Dan Drees Memorial also helped fund the project.